The Domestic Violence Task Force which consists of The Coalition, Interface, Partnership for Safe Families, District Attorney’s Office, and Fleet and Family Services, represented and spoke at the Teen Dating Violence Awareness Month Proclamation. 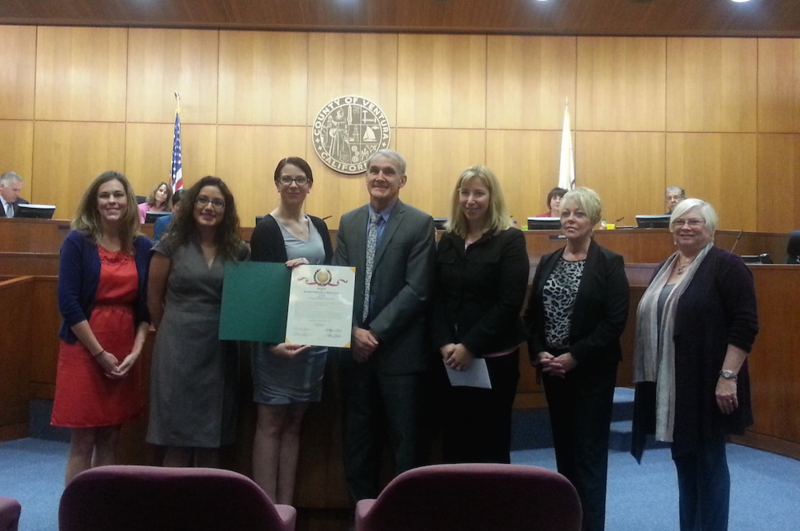 The goal of this event was to get the Board of Supervisors of Ventura County to officially recognize February as Teen Dating Violence Awareness Month. The Board Chair Bennett presented each Task Force member with a resolution. The Domestic Violence task force was successful on February 11, 2014!